Whether you have been playing for years or have only just joined, this is a guide to help you make the most out of this great game. This isn’t a run of the mill fantasy football game, it’s unique and the most challenging fantasy football game in existence. Your newly created iTeam has a budget of £75m. As the season progresses your players will decrease and increase in value due to their popularity. Check out the Help Section in-app for more details. 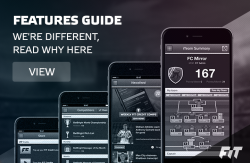 Your iTeam will be involved in a randomly selected Bonus H2H each gameweek. You also have the option of challenging friends or random people to an additional H2H. This additional H2H can be for fun, for FiT Credits or for a set amount of money to help increase your iTeam value. You can also combine the last two. The H2H lobby makes finding a suitable H2H even easier. Click here for more information about H2H. The only reason you should ever have 12 or less people playing, is if you have had to replace injured or suspended players or one of the wonderful EPL managers decides to rest one of your players. So, why shouldn’t you use your transfers as soon as you get new ones? Firstly, even if you have an injured or suspended player in your team there is a chance that the player you immediately replace them with gets injured before the next set of games or ends up being dropped to the bench. Patience pays off, trust me. If possible wait until the line ups have been posted before making your transfers. This way you’re guaranteed to put in a player that will at least start the game. A recent example being Ba for Newcastle. You may have bought him in for a little cheaper by doing it early but then he goes and misses the game completely. You could have waited, seen the line-up and transferred Cisse in instead. That would have got you 7 points instead of zero. Here is an example on how best to use transfers. This isn’t 100% guaranteed to get you more points but it is guaranteed to give you more chances to get some. I’m using a real life example from GW 21. Enrique is injured. I don’t take him out immediately but wait to see if Evra is starting for Man Utd. He is starting so he goes in to my team for Enrique and gets me 10 points. I then wait for all the Tuesday games to be played and elect to take out Aguero for Suarez and Silva for Gerrard on the Wednesday. Again I waited until I saw the Liverpool line up before making these transfers. Both did well, happy days. Now here is where it can get tricky. I actually really wanted RvP in my team. I could do this but I would have to take out Benteke before he had played to make this happen, as Man Utd played early on in the gameweek. This is where people go wrong. Most would have made the RvP transfer and using this team as an example it would have actually have been a waste, even though RvP performed really well. In scenario 2 because I transferred out Benteke before he played, I missed out on his 10 points. Even though RvP had a stormer, I scored more points by saving my transfer to enable me to have 13 players play in the gameweek rather than just 12. Scenario 1 would have netted me an extra 8 points over scenario 2. Unless you get very lucky, it’s always worth allowing players to play before you transfer them out. There are always other players to look at bringing in, due to teams playing Sunday and Monday. Even if you think one of your defenders isn’t going to get a clean sheet in the upcoming games, you just never know. He might even grab a goal/assist and surprise you. Let him play and only take him out after the game if his fixtures aren’t looking encouraging going forward. So from now on, rather than rushing to make your transfers as soon as they become available, remember the 1st rule of transfer club. 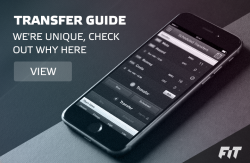 For a more detailed explanation on how transfers work, check out this write up here.